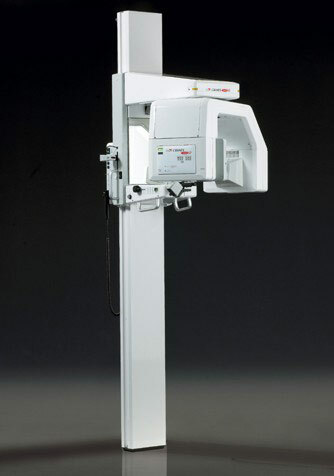 A Cranex EXCEL Digital X-ray unit is FOR SALE for 3,500,000 HUF. It is brand new and its original price was 4,500,000 HUF. The easy operation and handling is guaranteed by the simple control panel. All panoramic programs include automatic spinal compensation for an excellent view of the anterior teeth without distracting spinal shadow. A shorter exposure time and reduced exposure field lowers patient dose. 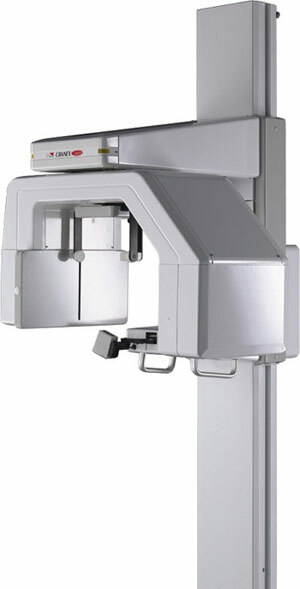 Contrast and brightness levels of CRANEX images are optimized for direct examination and diagnosis. A wide anterior layer thickness ensures good visualization of both crowns and apices, even in patients with malocclusion. CRANEX EXCEL's ergonomic design makes positioning easy for every patient. Producing panoramic images that have an exceptionally wide anterior layer thickness with no increase in overlap. The advantage is superb image quality regardless of the patient's dentition. CRANEX utilizes the central cephalometric projection technique, the very same technique that film based systems use. The image readout is accomplished using a narrow beam technique. Soft tissue filtration is done automatically, based on the position of the nasion support. The permanently aligned cephalometric tube requires no extra assembly for teleradiography. Two x-ray tubes will last longer than one. This increases the reliability and lifetime of the unit. Smooth functions of the head support elements are comfortable for the patient - especially important with pediatric patients. 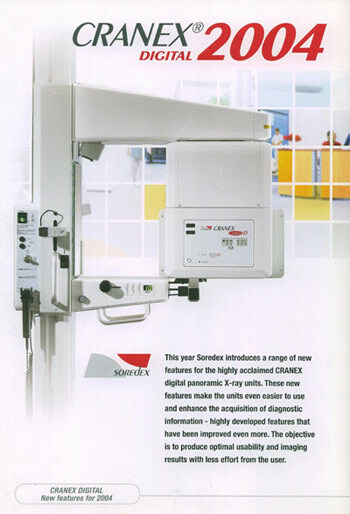 The panorama X-ray programmes of Cranex EXCEL D and its accessories (except the cassettes and the starting film package) are similar to those that can be prepared with the film version. Regarding its technical parameters, EXCEL D has the smallest focal dimension of 0.4 mm on the market (providing the best focus, lower radiation, bigger image size detecting the smallest anatomic details) X-ray tube.